If you was learning to become a jet pilot in the Royal Air Force you would almost certainly be spending much of your training time in the air at the controls of a Jet Provost. Although primarily used as a trainer, the Provost can be armed and such versions are in fact in use with the Royal Ceylon Air Force. 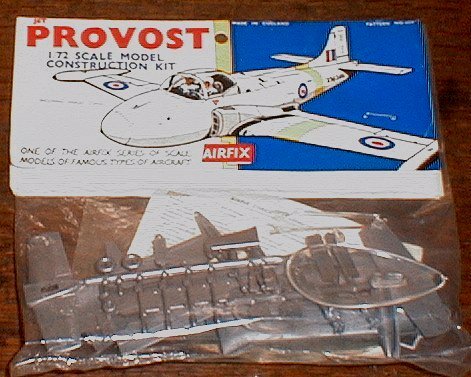 This Airfix kit includes rocket armament, undercarriage which can be in wheels down or in retracted postion, transparent cockpit canopy and two sculptured figures.